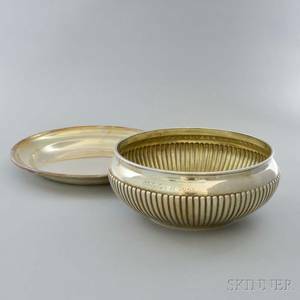 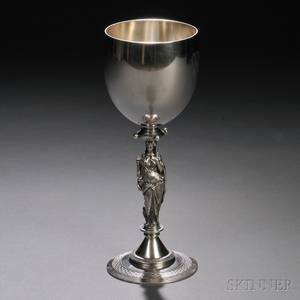 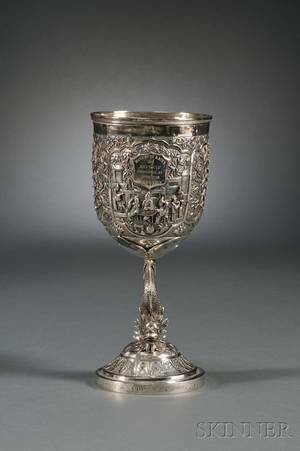 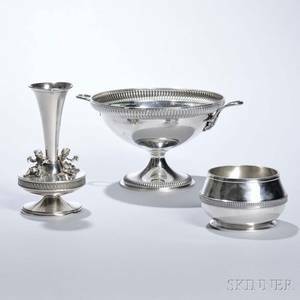 Gorham silver marriage goblet presented to Mary Austin Lewis , "A bridal gift from her Brother Julius Nov. 6th 1867", 7 1/4" h., approx. 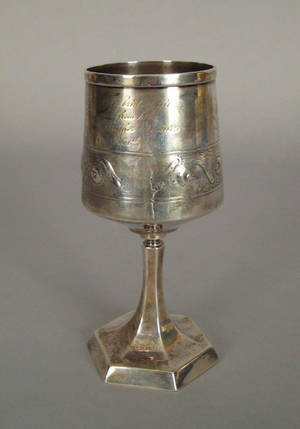 7.7 troy oz., together with a feather fan belonging to Mary Austin Lewis. 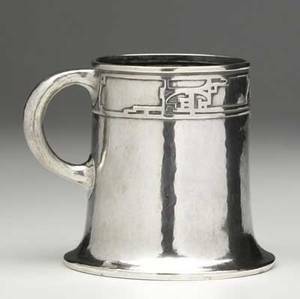 Jarvie; hammered sterling silver presentation mug, "presented to robert jarvie riddle by robert riddle jarvie december third 1911"; minor nicks to edges; stamped jarvie sterling; 3 1/2" x 4 1/2"